Volunteer opportunities are separated into four blocks. You can choose to volunteer for more than one. You have to be available for all the dates within the block and be ready and willing to work from start to finish. We start to get the course racer-ready. You’ll be on-hill and on skis. Volunteers are needed both inside and outside the fences to create a world-class event. The work continues as we say farewell to the men to host the ladies. We’ll be tearing down, packing away and doing inventory for what is not needed for the Nor-Am Cup. If you plan to volunteer for the Nor-Am Cup we’d like to know so we can make sure you stay in the same room. You’ll still need to register directly with Alberta Alpine. Click on the events below to see the full schedule. Bus transportation provided from Lake Louise Inn starting at 5:30 pm, walking distance from Fairmont Chateau Lake Louise. Volunteer gifting is distributed and official event merchandise will be for sale. 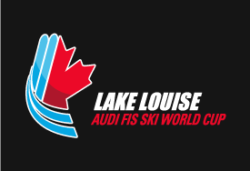 Bus transportation provided from Lake Louise Inn at 5:30 pm, walking distance from Fairmont Chateau Lake Louise. Teardown begins immediately following the ladies’ super-G.
Those staying to help teardown on the Monday are invited to dinner.